Insert your following steps carefully. 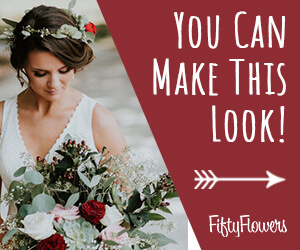 Insert your third stem carefully so the stem leans against the outer rim and the bottom of the flower rests against the side of the vase under the crossed stems. 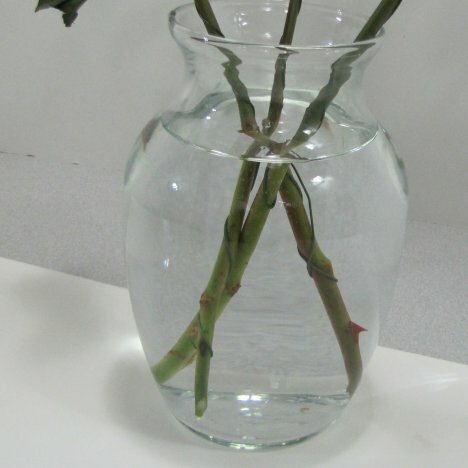 Although the picture is slightly distorted in the water, you can see the third stem entering the water. 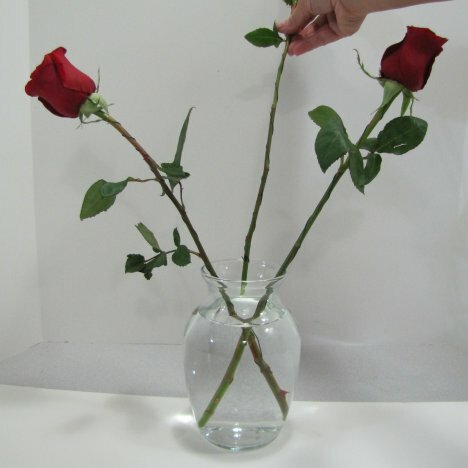 I gently put it in place, but take care not to disturb the first placement of the original stems. 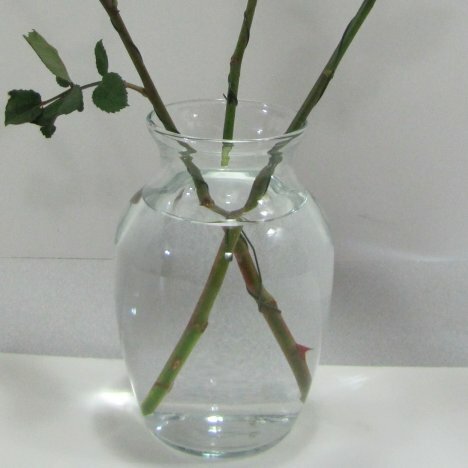 If you look closely, you'll see that I inserted the third stem UNDER the left stem, then OVER the right stem. This begins to create a grid that locks itself into place. 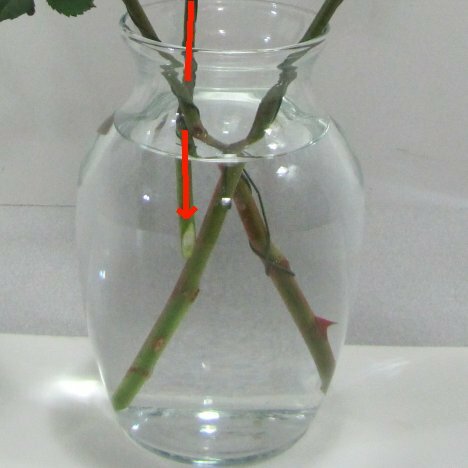 You won't be able to do this with all the stems as the vase gets crowded, but it's helpful to place the early stems in this manner so the interlocking stems become stable. You can see how the stems are beginning to create a natural grid.